Paper manufacturers are confronted by many challenges. Continuously rising operating costs have a negative impact on the productivity of their plants. Increasing energy costs and higher prices for fresh water are further problem factors. In addition, a keenly contested market for wood fiber and waste puts a question mark on the future availability of raw materials. As technological leaders we continuously develop new products and services to support our customers in managing these challenges. With our resource-sparing new developments we make a positive contribution to the environment and thus ensure the sustainable success of our customers. Voith Paper combines knowledge and experience for highly efficient paper mills, offering top performance in every sector and for every paper grade. Industry 4.0, Big Data or the Internet of Things – the networking of processes and communication between machines – are what will shape the future. Digital advances are making it possible, especially a powerful and widely accessible Internet. 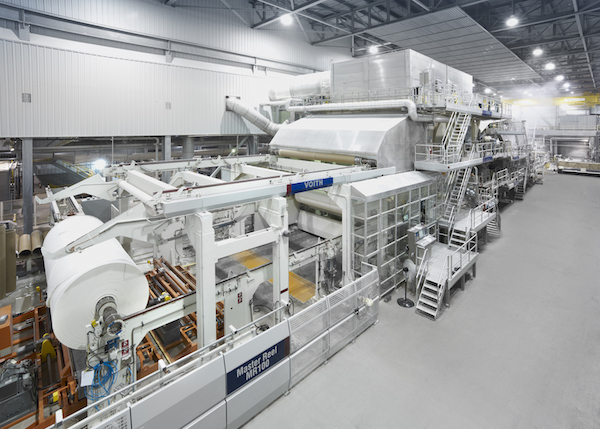 Voith has not only ventured a look into the future but is already offering specific solutions that are making “Papermaking 4.0” a reality today. 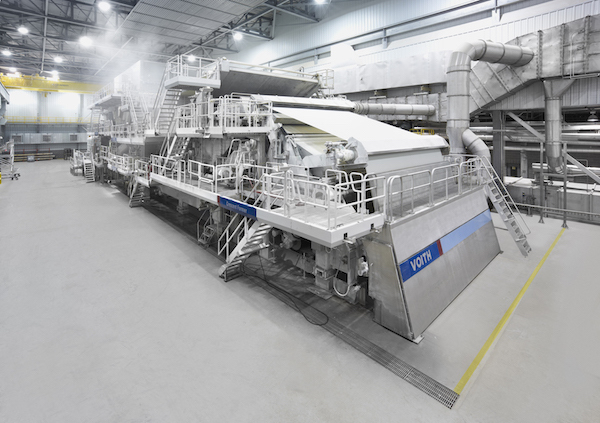 Voith offers its customers technologies and services for the entire paper production process. From newsprint and magazine paper to the production of tissue, which is used in everyday life as toilet paper, cosmetic wipe or kitchen roll – technologies from Voith are used in all sectors of the paper industry. In addition, the experts from Voith Paper and Voith Industrial Services look after the maintenance of all relevant machines. Voith Paper covers with its three business lines the following areas of competence: full production lines, efficiency enhancing rebuilds and machine components, products and services and high performance consumables such as fabrics, rolls, roll covers belts and sleeves. Business Line Projects delivers 100-200 tpd production lines in ultra-premium and dry-crepe hygiene papers utilizing shoe press technology, stock preparation lines, high-efficiency hoods as well as full engineering capabilities. Business Line Products & Services provides rebuilds upgrades performance enhancing components such as DuoShake, FormingSens, DuoCleaner, OnV FeltView, QCS and DCS systems, hood insulations, maintenance and spare part service. Business Line Fabric & Roll Systems supplies all main machine consumables : structured, forming and press fabrics, shoe press sleeves, rubber and PU covers for all machine rolls, Yankee metallization and grinding services, replacement rolls, doctor blades, mechanical roll service.